Huge vintage free blown storage bottle. 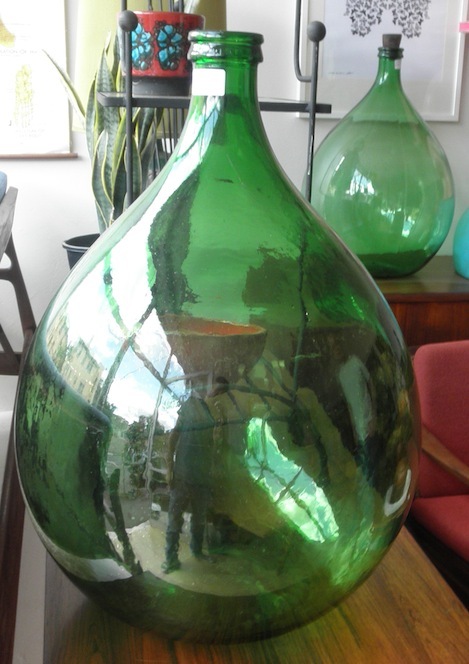 These bottles are used for decanting wine before it is bottled, the free blow forms have a great sculptural feel. Two available.